Welcome to Barton Blends ALL PURPOSE SEASONINGS where our ALL NATURAL SPICE BLENDS add great flavor and eye appeal to an endless variety of foods from meats to popcorn . 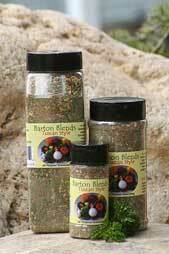 Barton Blends is made up of fresh ingredients most people have on hand when they cook. We just make it convenient for you with fresh ingredients ready to use with a flick of your wrist and a shake of a jar. 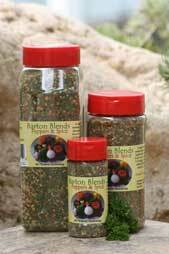 Barton Blends family recipes are created in Salmon, Idaho using the freshest of ingredients. 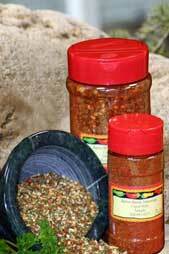 Our family takes pride in creating high-quality seasoning blends to enhance your recipes. Entice your family to the dinner table with delicious recipes flavorfully enhanced with Barton Blends ALL PURPOSE SEASONINGS adding a burst of flavor in every bite! Fresh Ingredients - Simply Delicious!